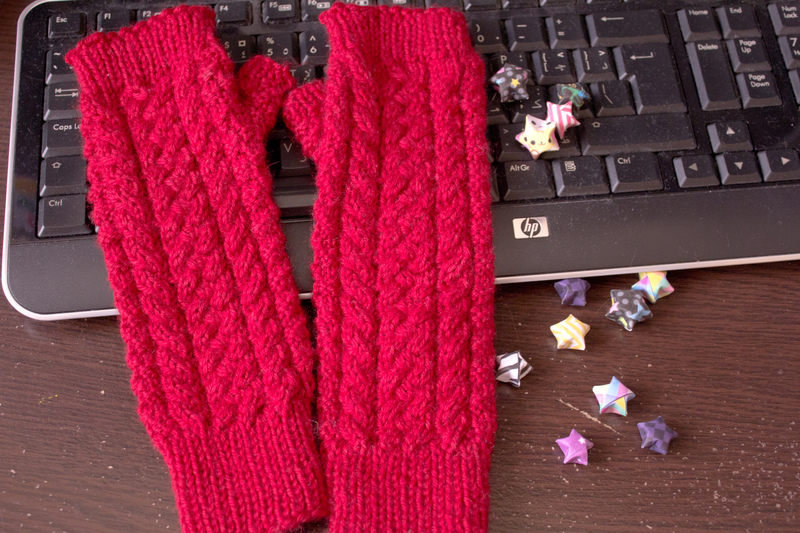 I had the opportunity to test knit this pair of wonderful cabled pair of fingerless mittens for Brittany. What a wonderfully easy and satisfying pattern! It gave me the chance to use my Cascade 220 Superwash which is one of the oldest yarns in my stash. Loved it! The pattern is written very well and despite the cables, it is an easy knit. Quite quick too because you will want to keep finishing one more row. It’s only a 4-row chart after all and it’s easy to memorize. 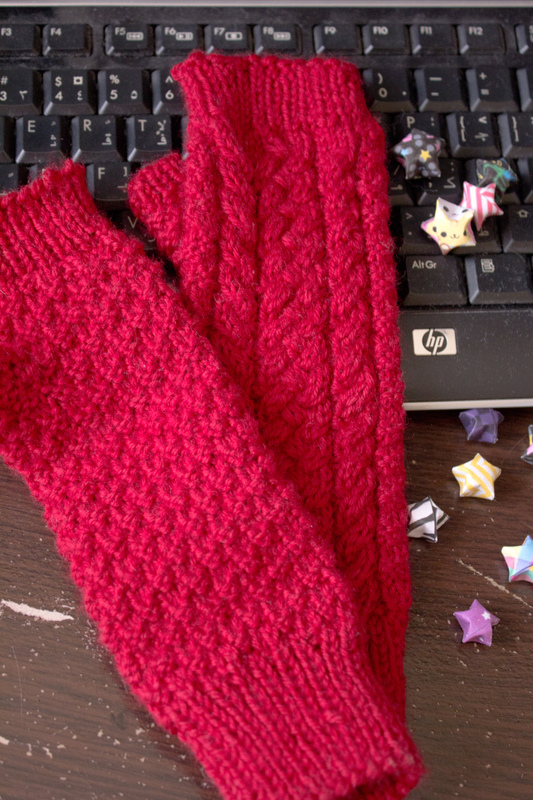 The deep ribbed cuffs make it very cozy. Of course it is adaptable to your own preferences! The centre cables are what sold it for me. I have always wanted to make something with a braided look and always assumed it was a lot of hard work. But this is actually very simple! The finished look is deceptive and very pretty. I want a sweater with a massive braided cable down the back! Notes: Don’t let the cables intimidate you. They are dead easy. You might want to use a cable needle though so as not to stretch out the stitches too much. But it’s nothing that a good blocking can’t fix. 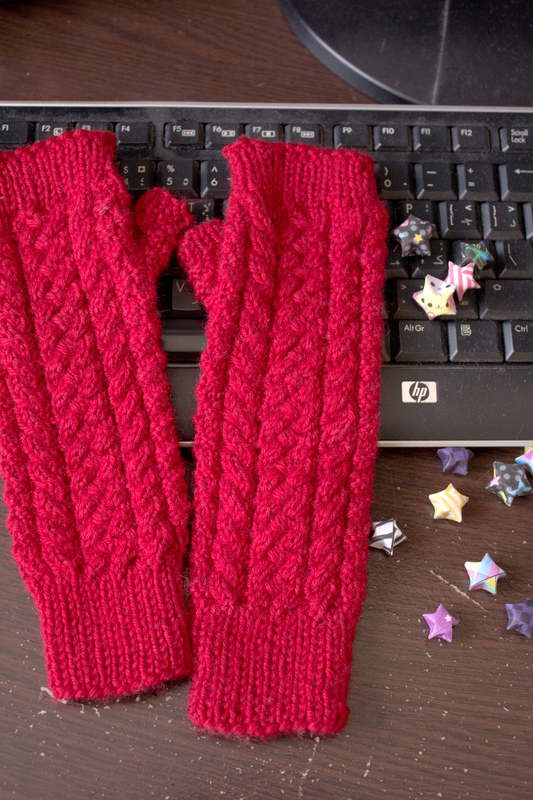 Ahh, raspberry red mitts… lovely indeed! The cables are nice and I like the textured pattern too.